One of the moment's in your wedding that you dream about; dancing with your dad in your white dress on one of the most important days of your life. Remembering all the special moments you had with your dad before this one. You want the song you dance to to be special and meaningful. 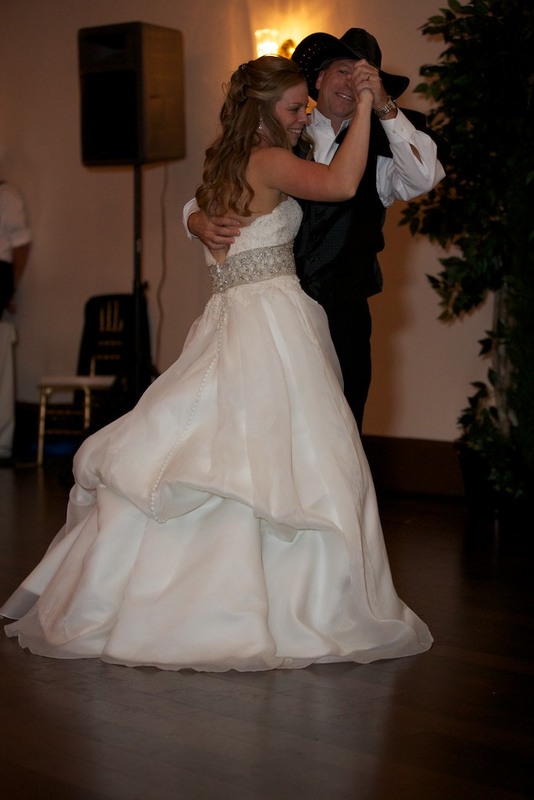 Early on in planning my father daughter dance we had decided we would dance to I loved her first by Heartland. I really like that it was country because my parents listened to country music when I was growing up. I also really liked the lyrics. Fast forward to a week before our wedding. After 12 hours of wedding prep, my dad, mom and aunt were sitting around unwinding with some wine. We decided to start practicing our slow dance and then it hit us. Let's surprise everyone with a choreographed dance. It would fit our fun personalities and give our guests something to laugh about. We knew we were going to open with a slow song to 'fool' everybody. So we started with 'I loved her first' by Heartland. Then we led into a little rock and roll 'Sweet Child O' Mine' by Guns' N Roses. We ended the dance to 'Amanda' by Dennis Quaid. Growing up my dad would play Amanda and sing it to me. The songs met the special and meaningful criteria. 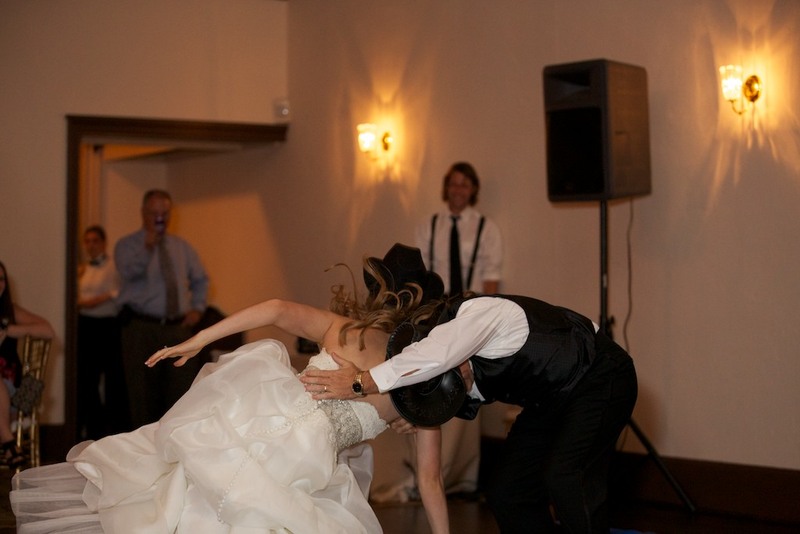 I tripped on my dress and fell on the floor! 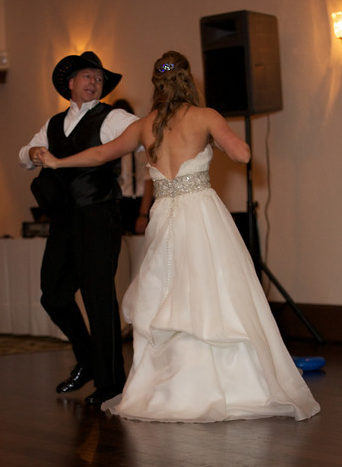 If you aren't able to dance with your dad, choose a person who has been a role model in your life. I believe the tradition of this dance can be shared with your mom, a brother or uncle. It is a special dance that reminds you of the family you have grown up with and the family you are starting. 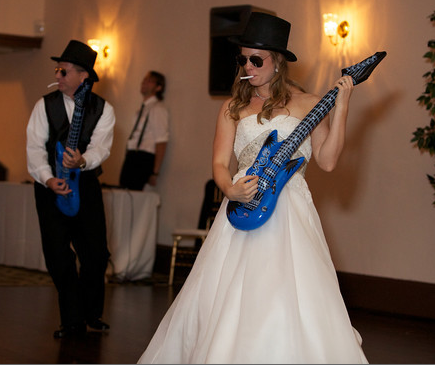 You've got a great list of father daughter wedding songs! Simply amazing. My Little Girl and the way you look tonight are my favorites.